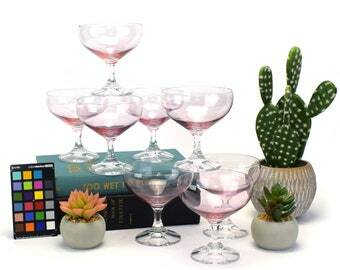 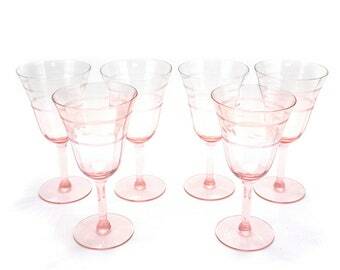 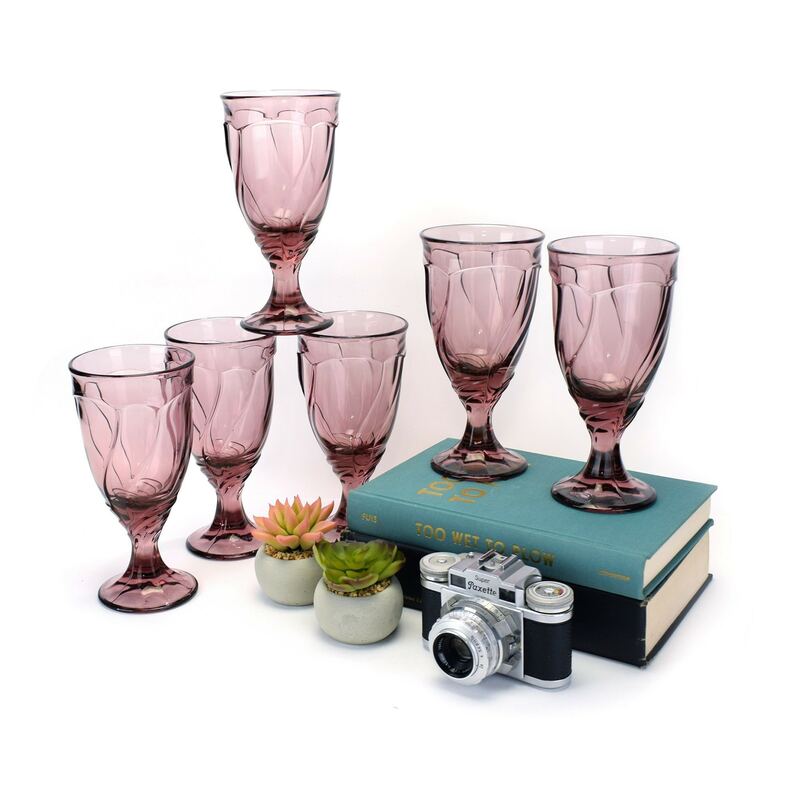 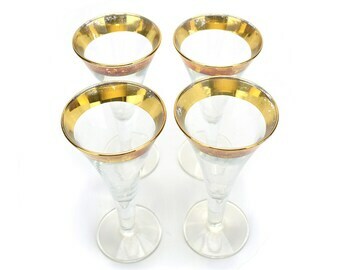 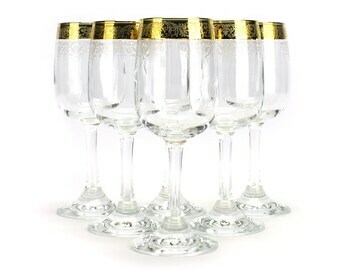 Lovely vintage set of 6 pink or mauve stemmed wine, cocktail, champagne or coupe glasses! 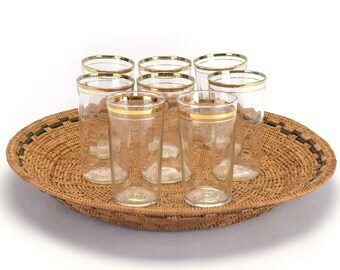 These glasses are so sturdy...weighing over 1lb each!! 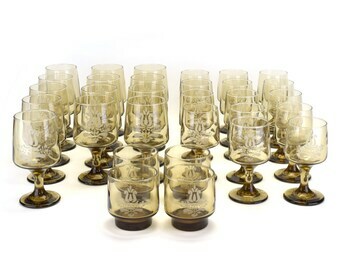 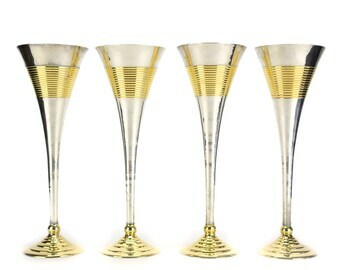 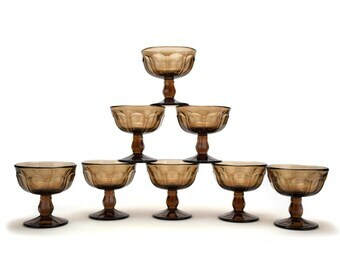 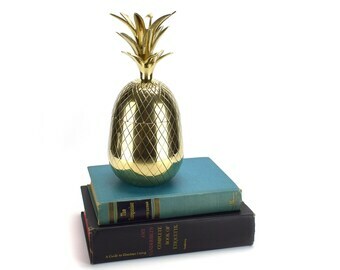 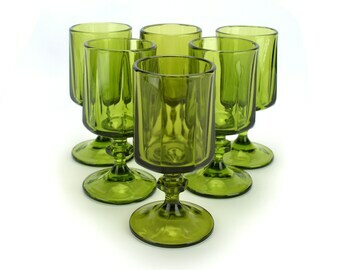 This is an excellent addition to any barware, bar cart decor and perfect for a cocktail party! 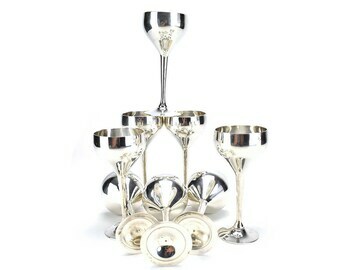 Makes a beautiful statement for a wedding or baby shower. 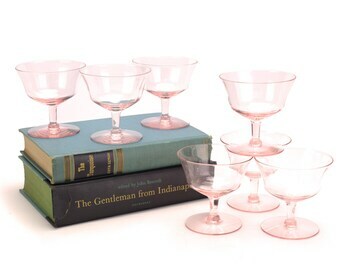 Lovely wedding, engagement, or Valentine's Day gift! 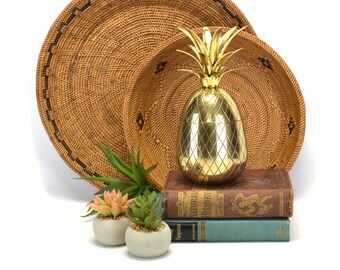 Excellent Vintage Condition! 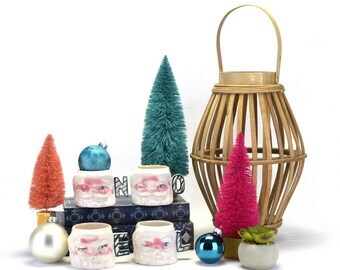 No cracks, breaks, or chips!